Social media is an intense issue in most organisations around the world. Few businesses remain untouched by social media whether they use it or not. This has created a quandary for leaders in that the potential of social media appears extensive; however, the risks and impacts cause nervousness. Part of this inconsistency is that social media is a 21st century participatory media and communication tool and most organisations still manage with a 20th century linear and control model. As a fundamental communication shift is occurring – communication now comes ‘with us’ as opposed ‘to us’ – the social media revolution continues. It is important that employers and leaders leverage this for a competitive advantage or be left behind. 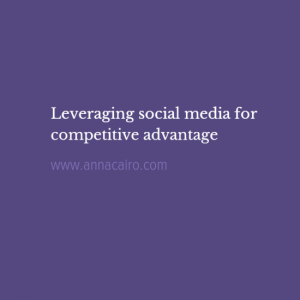 Without a substantial social media presence organisations will become invisible and will struggle to have the opportunity to attract and retain employees as well as tap into their client base. Leadership starts from the top. Without total support from management social media activities will fail. It is important that leaders educate themselves about social media, the risks, the opportunities and how it can benefit their organisation. If unsure where to start why not try an information session with the younger staff members? Don’t be surprised how collaborative they are with ideas and suggestions. Without a social media policy an organisation leave themselves exposed to the following social media risks: reputational, legal and operational. An easy to read policy is essential with feedback from employees and all departments. Once a policy has been implemented it is essential that education and training is provided to employees around boundaries and the opportunities of using social media in the workplace. Without education, the social media policy is unlikely to be effective. With an effective policy, education and employees on board, it is important to place trust in the employees to represent the organisation. This can be hard for management to do as there is a certain amount of letting go of control. Trusting in your employees will transform your business as they will spruik your business in a way that marketers can’t. Not all employees are suited to this responsibility so it is important to ‘identify’ who will be likely well-matched. As they will be communicating key organisational messages they must have confidence and be comfortable representing the organisation, be social media savvy and appeal to the target audience. Once employees have been identified training and education are paramount for these ‘brand ambassadors’. Acknowledge that things can and do go wrong with social media but this is true of anything. However, it is vitally important to recognise that if organisations are not utilising social media effectively they are unlikely to exist in the long term. Although this may seem alarming, communication practices are shifting and it is essential business get on board. 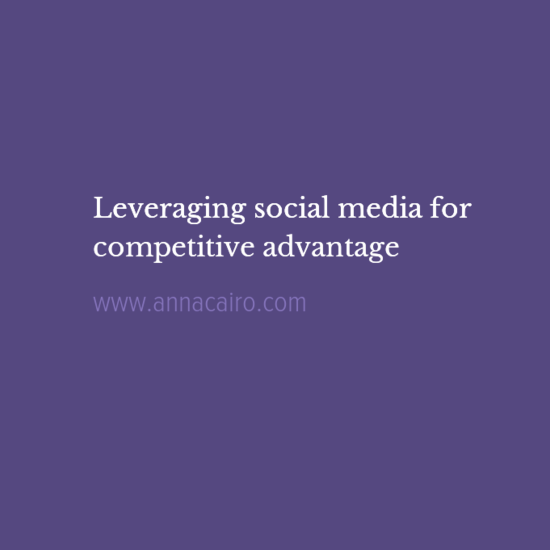 Social media offers an abundance of opportunities if it is fully embraced by an organisation. Thanks for reading! Feel free to ‘tweet’ or ‘repost’ this article or leave your comments…. Want to learn more about Anna, take a look at her website or Facebook page.